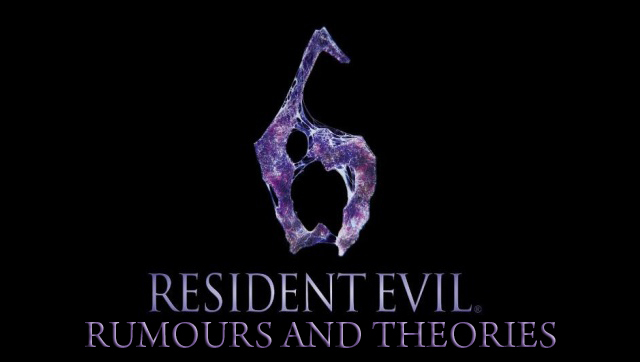 Yesterday we looked at the trailer for the new Resident Evil game, Resident Evil 6, but since then some new theories have come to light. The identity of the blonde girl from the trailer is being debated, with various sites taking different stances on the topic. Is she Ashley Graham or Sherry Birkin? Personally, I think its Ashley as the president, who is her father, plays a key role in the game. Some have argued that it may not be President Graham, though this is unlikely as he references working with Leon, and trusting Leon, for a long time and President Graham trusted Leon enough to send him single handed to rescue his daughter. IGN have confirmed from sources that it is Sherry, but that means nothing. The same was said about Sherry in Resident Evil 5 and she ended up not being in it. She hasn’t appeared in a long time and fans really want to know what happened to her, but unfortunately that doesn’t mean she’ll ever reappear. Still, don’t rule it out it could be her, but my money’s on Ashley and I’d actually prefer if it was Ashley. I think she was a really annoying part of Resident Evil 4, but story wise she makes sense and it seems right to include her. Then there’s the possibility that she’s someone completely new. No one seems to be arguing this, but she may not be a returning character at all. There is no point in the trailer were she says or does anything to indicate that she has been in a biohazard before, though her voice sounds a lot like Ashley’s. IMDB does not have a page for Resident Evil 6 yet to confirm whether or not it is actually the same voice actress. The mysterious new guy, who is ironically paired with Ashley/Sherry, definitely has a relation to someone in the past games, Capcom have said this, but who could it be? The two main contenders are HUNK and Alex Wesker. HUNK has appeared in the games before, but was always in a costume with a gas mask. Alex Wesker was mentioned in past games, though he’s never physically appeared. HUNK is a mercenary and the new guy in the trailer says he was ‘better off as a mercenary’. Also he is pretty good at surviving dangerous situations, much like HUNK who usually is the only survivor on his team when he goes on missions. The new guy’s blood seems to have some immunity to the virus or some important quality and it’s been long theorised by fans that HUNK was immune to the virus and this is why he survives when the rest of his team dies. However, fan speculation isn’t fact so HUNK may have completely regular blood. Alex Wesker was, along with the more well-known Albert Wesker, one of the Wesker children. That doesn’t make them DNA related they were just a group of children that were experimented on. Alex is, as of Resident Evil 5, the only surviving Wesker child. Alex has been mentioned in a number of times throughout the series, though never in a way that specifies the gender. All the Wesker children were experimented on so it’s likely his blood would have a few tricks up its sleeve, yeah that’s right blood can have sleeves. As with the Ashley/Sherry debate, it could be someone completely new. If I had to pick I’d say that I think its Alex. I wouldn’t mind either way, because I think both would be really cool, but I feel it’s more likely that it’s Alex. Is Resident Evil 6 a prequel? Unfortunately, basic maths says it is. Resident Evil 5 takes place 11 years after the Raccoon City incident and Resident Evil takes place 10 years after, which, if my maths are correct, means number 6 is set one year before 5. Hopefully this is a mistake that will be fixed before the game comes out, because what’s the point of putting it before 5? The only reason I can think of is to include Albert Wesker, but that’s not a good enough reason. So in conclusion, Ashley, Alex and prequel those are my theories what are yours. Let me know by voting and leaving a comment below. Also don’t forget to follow/subscribe and click the like button, if you liked this post. You can follow me on twitter if you want it’s. This entry was posted on January 21, 2012 by adamodwyer1. It was filed under Games and was tagged with 6, albert, alex, ashley, birkin, blonde, evil, game, games, girl, graham, guy, hunk, mask, new, prequel, president, resident, sequel, sherry, six, theories, theory, wesker, without. It’s confirmed that it is definately a sequel so don’t worry about that. The guy is still unknown, but the girl is almost definately Sherry, but since it turned out not to be President Graham it really doesn’t bother me. Thanks for the comment. she is sherry, firs of all, she is too young to be ashley, secon, her eyes are blue (sherry´s eyes are blue), ashley´s eyes are brown. It has been officially confirmed, twice, that it is Sherry. I have to say good call to everyone who spotted the eyes, very clever. I don’t think age would be an issue, the girl in the trailer could be anything from 16 to 26 or any other age its really hard to tell people look older or younger sometimes. Thanks for the comment and sorry about the delay in replying. Sherry was 12 years old in RE2 since 1998. Now she is 26 years old. she had short blonde hair and blue eyes like this in RE6. she can use things she can escape from the boss.. this is because she learned more from RE2. Ashley looks different she had a brown eyes and mini long blonde hair. She will not appear in RE6 but Sherry only.. she always hide anywhere from zombies and monsters. she is very weak. Alex Wesker looks like Albert Wesker’s face. Mr. Hunk has many beard but to be shaved. Mr. Hunk will not appear in RE6. It was pointed out a few times about Sherry’s eyes and may I say everyone that noticed that has pretty good eyes themselves. The capivate trailer confirmed as well that that is indeed Sherry, but it isn’t Alex. The resemblance to Wesker is explained though as the new character is his son Jake Mueller. Also the release date has been moved up, you can check the post on that here. There is plenty of new info hope you enjoy.